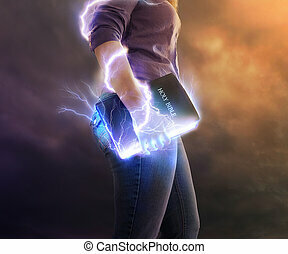 Woman carrying bible verse. 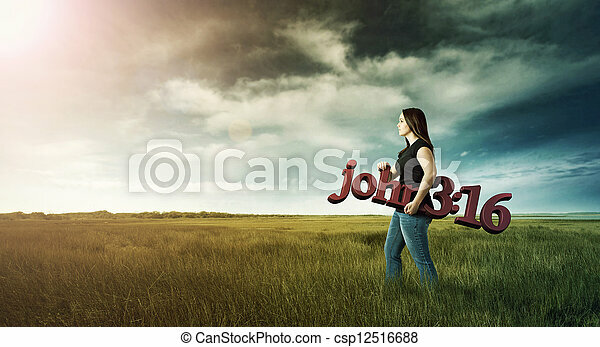 Woman carrying a bible verse through the field. 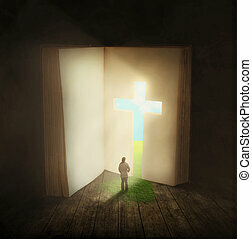 Woman carrying a Bible verse through the field. 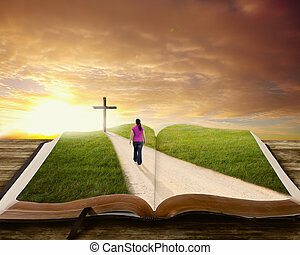 A woman walks along a road on a book towards the cross. 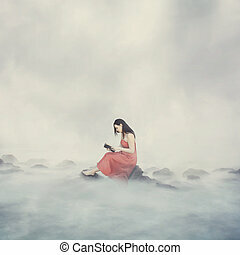 Woman alone on top of the clouds reading her Bible. 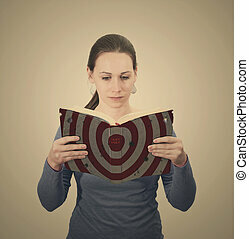 A woman reading a Bible with a target on the cover of the book. 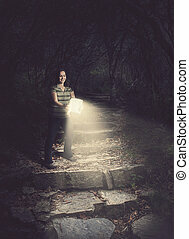 Woman holding a glowing Bible in the forest. 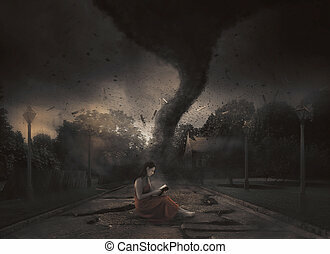 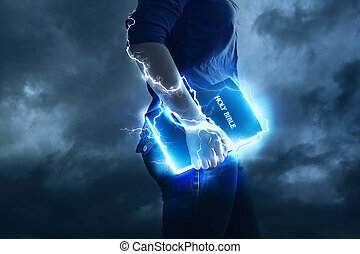 A woman holds her Bible with glowing lights and lightning strikes. 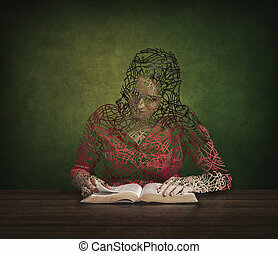 Surreal image of a woman walking through a cross shaped door in a book. 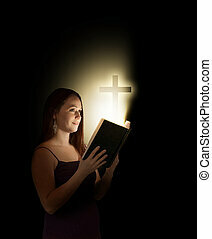 A woman is restored by reading her Bible. 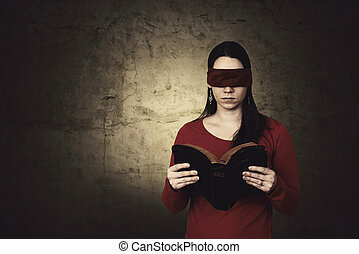 Woman trying to read a Bible while blindfolded. 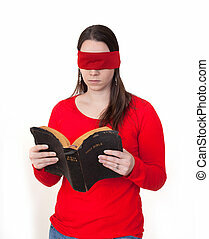 A woman trying to read a Bible while blindfolded. 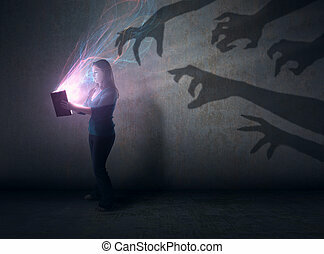 A woman holds a glowing Bible with scary hands in the background. 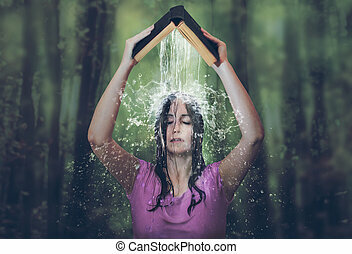 Water pouring out of the Bible onto a woman's head. 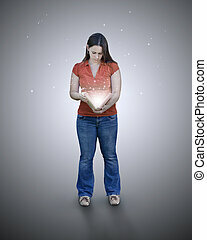 Woman holding a glowing book in her hands.